Surya Shanti pooja, Remedies of sun, surya grah shanti, surya yagya, How to worship sun, Surya in astrology, Impacts of surya in life, surya grah dosh nivaran pooja importance, Astrologer for analysis of surya problems in horoscope or kundli, Surya shanti ke upay. Sun or surya is one of the most important planets and the study of sun in horoscope reading is very essential if we want to know about father, ambition, nature, soul, will power, vitality, relationships with higher authorities, personality, social status, political career, government job etc. It also represents our ego, eyes, honour etc. Sury is the only planet which is visible clearly from this earth. Sun gives us energy to carry out our work. Metal represented by surya is Gold. Gem stone of surya is Ruby. Direction of Surya is East. Day of Surya is Sunday. Associated number of surya is 1(one). Zodiac of surya is Singh i.e. Leo. Sun or surya is exalted if it is sitting with Aries zodiac and If surya is sitting with Libra then it is debilitated. Surya or sun if gets negative in kundli or horoscope then it gives so many types of problems and then surya shanti pooja helps a person. Malefic sun also arise the chances of defame. It is also responsible for feeling of jealousy. Relationships with higher authorities not become helpful. Health problems also arises due to debilitated sun or surya like eyes problems, headache. Loss of job also takes place. Lack of will power also lead to many problems. Surya shanti pooja is helpful very much if you are facing any professional or personal problems due to sun. Surya shanti pooja is necessary if debilitated sun or malefic sun is going on in mahadasha or antardasha. Because at this time person will face the most dangerous impacts of sun. Surya pooja is done for 2 different purposes-1. Ist is to minimize the negative impacts of sun from life if it is malefic in our horoscope or kundli. 2. 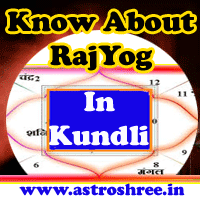 2nd is to gain power of sun if it is weak in our kundli or birth chart. Reciting the aditya hriday strotram is also a good way to worship surya. Offering water with red flowers in the dawning time to surya is also a good way. Fast of Sunday is also a way to minimize the bad impacts of sun from life. Donating the things of surya on Sunday is also a way to get rid off from sun malefic effects. Surya shanti pooja from an experienced scholar is a very good way to cool down sun. Installing the siddha surya yantra and worshiping it is also a good way to get the blessings of surya god. Surya kawach also protect a person from the ill effects of bad surya. It will minimize the chances of defame. Surya shanti pooja will help to retain the health. Surya pooja will make the situations positive in life. It will help to make good relations with higher authorities. Surya pooja helps to get confidence, will power, mind power, eye power, logical power etc. to live a successful life. As per astrology malefic sun will give different types of results in different houses for example in first house it will affect the mind, will power, confidence, name etc. In 2nd house it will affect the earning sources, eyes etc., in 4th house it will affect the health of mother and luxuries in life and so on. So in this case surya shanti pooja is very necessary to perform. If you are facing any problem in life and want solutions from astrologer then do contact one of the best astrologer for proper analysis of horoscope and to get the best remedies of problems. Consult ASTROLOGER now to know the power of sun in your horoscope. Consult astrologer to know the surya shanti remedies for you.